Ok Zachary - let's see what you have. 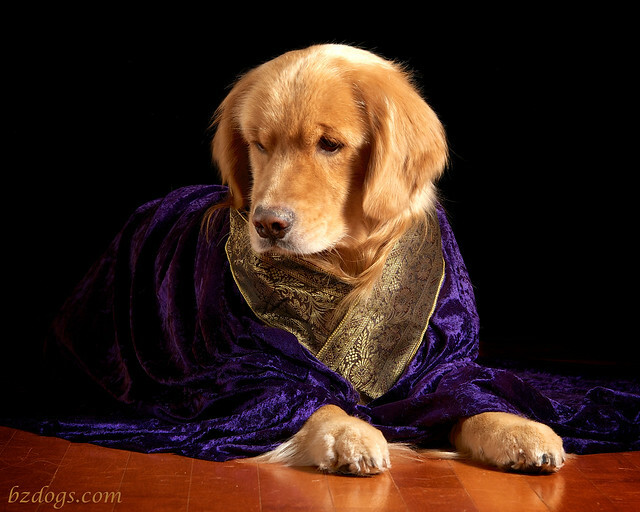 Zachary, I'm just not sure the straw hat goes with that royal purple and gold robe. Our Daily Challenge - Aug 30, 2014 - "Complementary Colors"
Daily Dog Challenge 1034. 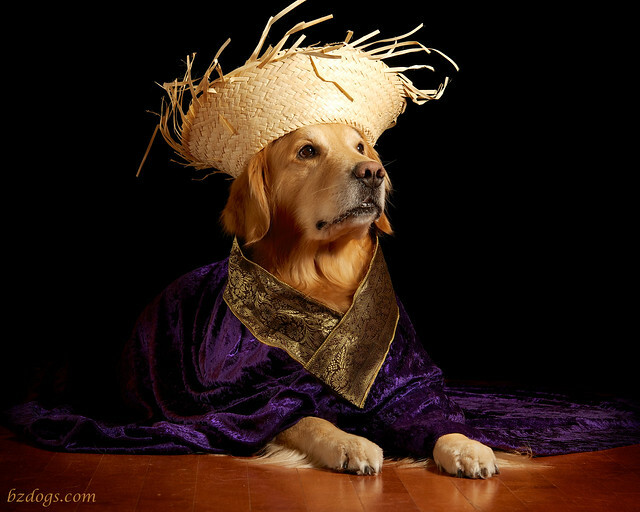 "Mix"
Very regal except for the straw hat...I think you need a gold crown instead ;) Happy Labor Day! Love Zachs face in the hat! 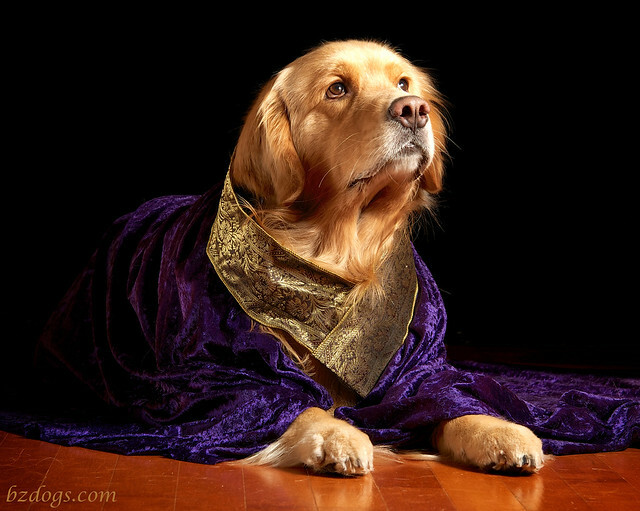 VERY regal looking!! 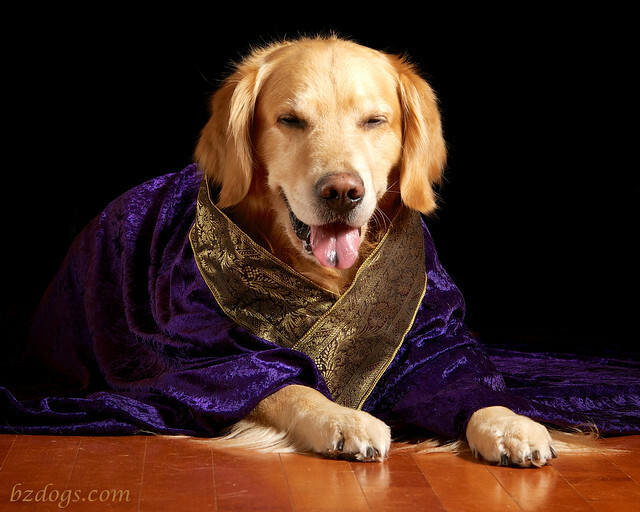 King material for sure!! Hope you had an awesome weekend!